I finally recovered from our trip to Germany and Italy. I must be getting old because it took quite a while to readjust. I also finally made it through our 1,000 pictures and narrowed them to about 355. I promise to put some up on Flickr to share. 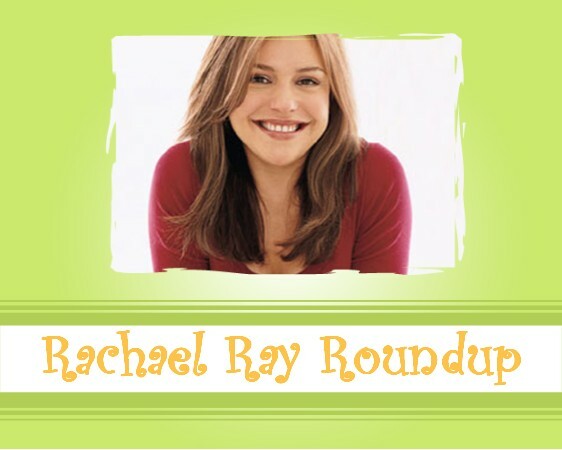 Here are the Rachael Ray posts from around the blogosphere. If you write a post about Rachael Ray or see one that you think would be perfect for the Roundup, please e-mail me. Happy Friday! Leah Maria at All Things Yummy tried Rachael's Sesame Noodles with great success. The Good Ole Cook at Home Cooking is What I Like was inspired by Rachael's recipe for Lemon Spaghetti to make her own Shrimp Scampi and Lemon Spaghetti. Rae at The Northern Southerner celebrated a personal Rachael Ray week and tried her Spiced Shrimp and Italian Club Finger Sandwiches. Rachael Ray made $6 million last year, according to a new report by Parade magazine. It must have been a really sloooow news day, because tons of blogs, like this one, were mesmerized by the dress code for Rachael Ray's talk show. Wait, a television show is controlling how it looks when broadcast? The horror! Reality TV Magazine informs us that Rachael Ray will be participating in the Next Food Network Star again this season. Julie Cochran at The Life & Times of Ju Ju & Boo Boo tried Chicken Tortilla Soup with Lime and it was "fantastic." Stacy at Exceedingly Mundane just got her first shiny new Rachael Ray cookbook. I'm glad I'm not the only one who gets so excited when those little guys arrive in the mail. The Everyday Home Agrees that you should never cook for one, even if there's just one of you. Sarita at Creating My Dream Life is a big fan of Rachael's recipe for Turkey Taco Salad Bowls.